Sacramento, Calif. -- In response to overwhelming fan demand, Depeche Mode are pleased to announce they will return to North America for a final, exclusive run of shows on their widely celebrated Global Spirit Tour. The final North American shows in May and June follow an extensive, sold-out run across North America, the UK, Europe and South America, with the band playing to over 3 million fans in total. Produced by Live Nation, the massively successful outing will bring the band to 100 cities in 34 countries around the world, including a record-breaking four nights at the Hollywood Bowl in Los Angeles. The North American tour extension will make a stop in Sacramento on May 24, 2018. Fans can register now through Saturday, February 10th at http://depechemode.tmverifiedfan.com for free access to the Ticketmaster Verified Fan presale, which will allow vetted fans to purchase tickets before the general public starting Monday, February 12th at 10am local time. Tickets will be publicly available beginning Friday, February 16th at LiveNation.com and through the Live Nation app. Citi® is the official presale credit card of the Global Spirit Tour. As such, Citi® card members will have access to purchase presale tickets beginning Monday, February 12th at 10am local time until Thursday, February 15th at 10pm local time through Citi's Private Pass® program. For complete presale details visit www.citiprivatepass.com. The Global Spirit Tour has garnered worldwide critical acclaim throughout its run. Variety commented that 'the group's longevity and visceral live performances are a testament to their status as both legends and rock stars,' NME called the band's London set 'flawless' and 'immaculate,' and the LA Times praised Depeche Mode's Dave Gahan as one of the 'great frontmen of his era.' The Global Spirit Tour is in support of the band's 14th studio album, Spirit, released in 2017. One of the most influential, beloved and best-selling musical acts of all time, Depeche Mode have sold over 100 million records and played live to more than 30 million fans worldwide. 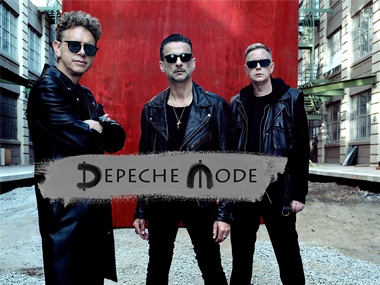 Formed in 1980, Depeche Mode - Martin Gore, Dave Gahan and Andy Fletcher - continue to win critical and commercial acclaim around the world both in the studio and on the road, with innumerable artists citing them as inspirations and innovators. The band's 14 studio albums have reached the Top Ten in over 20 countries, including the US and UK. Their 14th studio album Spirit was released in March 2017.